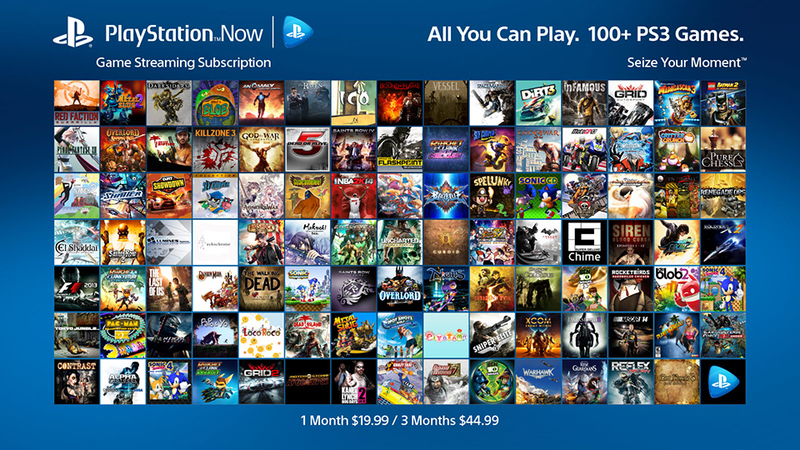 PlayStation Now is a subscription service that lets you play PlayStation games on the PS4, PS3, PS Vita, PS TV and soon Sony TVs via online streaming. Choose from over 100 PS3 games, with more coming soon. $20/mo or $45/3mo.